My seeds are here! Isn’t that a brilliant site, almost as satisfying as the first signs of growth on your seedlings…almost. I’m an accountant, so for me cost is key. Low initial costs + large savings from the produce = one happy Becky. Of course low-cost isn’t always the best or most reliable item, so I looked for the most popular cheaper varieties followed by some research into customer and fellow garden bloggers reviews. A few, such as Autumn King 2 Carrots and Californian Wonder Peppers I have grown before with success so they made the list. I like a long harvest period. And I don’t like to wait months for that period to begin after I’ve planted. Obviously, with some plants this is unavoidable but so far as I can that is what I look for in my varieties. As I’ve previously said my goal is to maximise good produce and lower costs, and this system works for me. I have a few other things I’m going to grow in containers such as tomatoes, cucumbers and chillies that i already have seeds for. 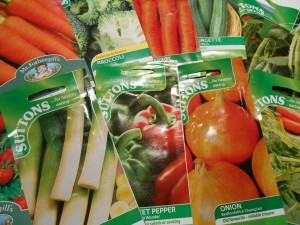 This month I’ll be sowing Gardener’s Delight tomatoes, Jalapeno chillies and Lyon leeks. 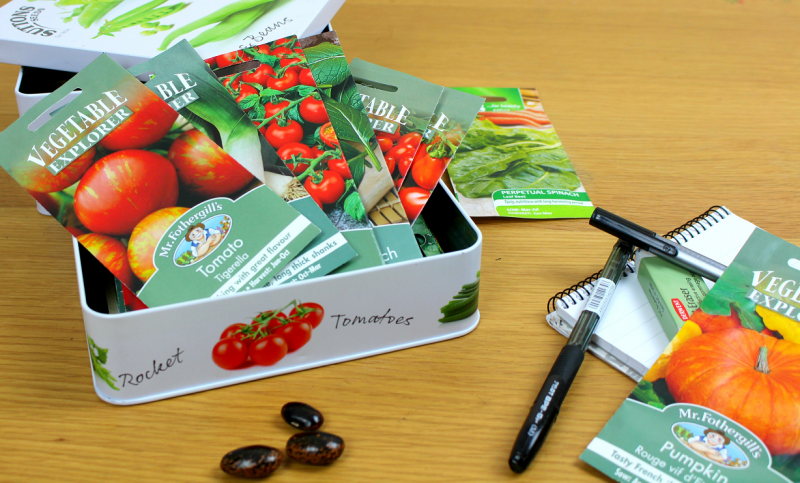 So what seeds have you ordered or planning to grow this year? Planning is an essential part of all aspects of life. Without a plan how will you know your successes from your failures or whether your goals are being achieved. It also helps to know when things need to be done to. It ensures limited time is used effectively and in the case of gardening, that seeds are sown at the best time for germination. So for the last week or so I’ve been planning my 2015 garden! In past years I’ve had a very laid back approach to sowing my seeds i.e. I chuck a ton of seeds into the rows I’ve made and see what happens (bar a few things I start in pots inside). This year however, I’ve done a little research and have decided to give the square foot method a try. Measured my raised bed (Okay, confession – I actually did this last but I REALLY should have done it first, luckily for me my guess at the size was correct!). Created a list of the households favourite fruit and vegetables ( I went through the most meals made and listed the vegetables to find the most used). Researched how many plants for each of the above would fit into one of my square foot spaces (You can find this easily enough on google/Pinterest). Drew out my area and allocated plants according to the information above (See above picture – I originally created this in excel so I could easily move things around). Selected and ordered seeds from Suttons (The fun bit! I’ve included all of this information in a separate sheet to track expenses. It’ll also get added to my garden journal to track each variety through the year). That’s the main bed done. I’ll be growing a few tomatoes etc. in the greenhouse but not so much planning is required as they’ll all be in pots. Now all I need to do is wait for the seeds to arrive! I’m very excited! Especially as I managed to get some brilliant looking seed tins for a just £1 each. 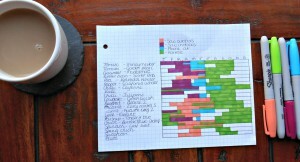 I will go through the varieties I’ve decided on and my garden journal when my seeds arrive. I’m always interested in how others organise and plan so please comment or link to posts about your strategies. 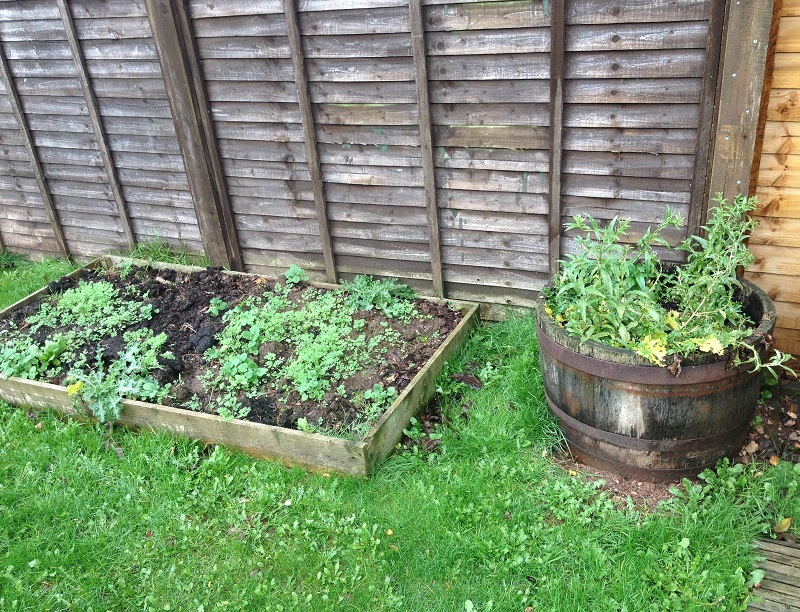 My name is Becky and I am a vegetable grower…. Okay, Okay…maybe I haven’t been so much recently. But 2015 is the year that I get back on track with my favourite hobby! Rather than dwell on the sorry state of my garden area I got straight to work planning and researching and collecting ideas for the 2015 growing season. 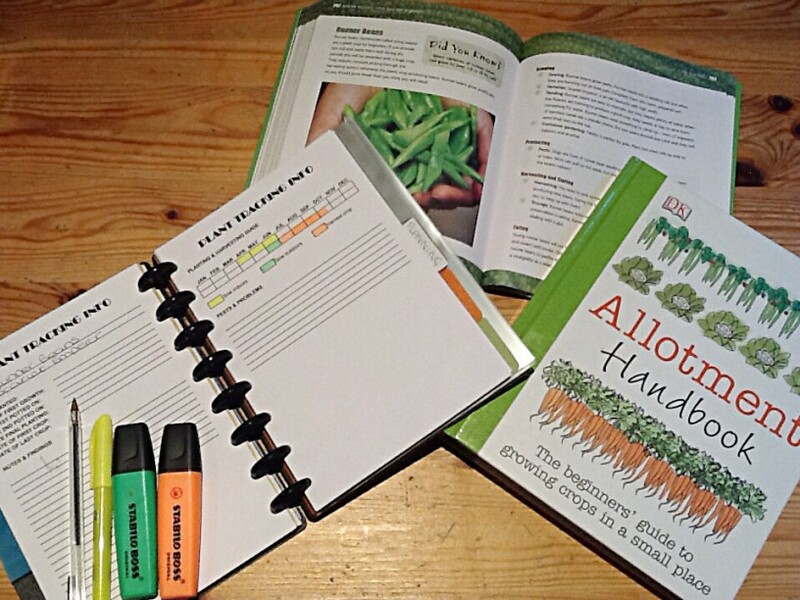 I gathered my supplies and went about devising a list of vegetables I wanted to grow, the layout I would use and pest control systems I would implement (A little over the top perhaps? Ah well you’ll soon learn I love to plan and organise). During this time I spent a lot of time reading other garden and allotment blogs, some of which I am now an avid reader. Seeing the feedback and support provided by other like minded individuals from all around the world I decided I’d give the blog world a whirl.  This blog will also provide me with an easy way to document and look back upon any successes or failures. Please feel free to pass on any tips or information you have found valuable throughout your own journeys as I’d love to learn.